Write On, Carlos!/iCarlos escribe su nombre! : I See I Learn (Paperback) - Books By The Bushel, LLC. How do you write your name?/¿Sabes escribir TU nombre? Stuart J. Murphy, author of the award-winning MathStart books, has developed a new series: I See I Learn®. The I See I Learn® books feature simple stories and visual learning strategies to help young children learn important social, emotional, health and safety, and cognitive skills. Stuart, a visual learning specialist, has also served on the authorship teams of a number of major educational programs. 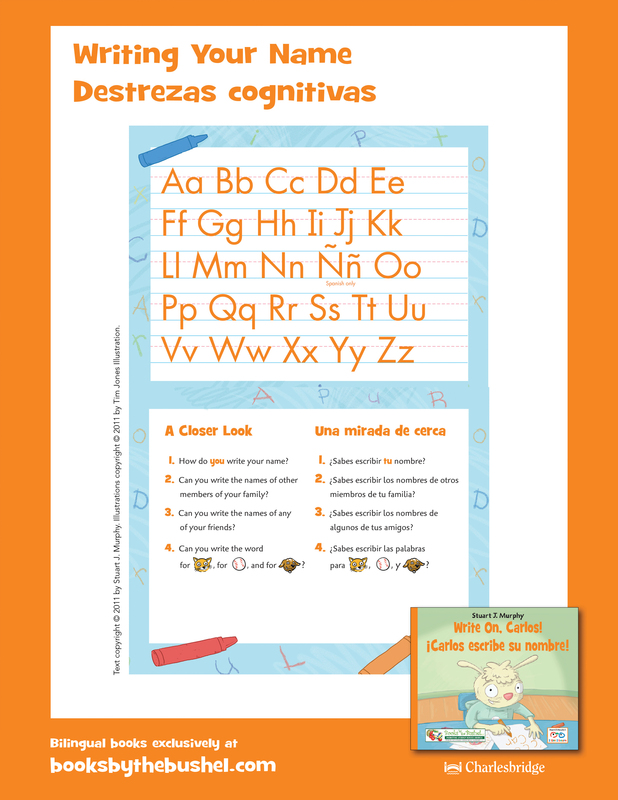 Download a poster version of Write On, Carlos, perfect for classroom and refrigerator doors! Watch as award winning author Stuart J. Murphy introduces his first BILINGUAL books!